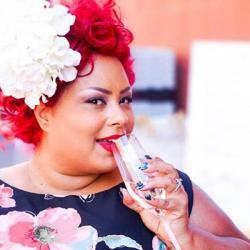 The SocietyGurl (Jamie Ann Owens) spends the day celebrating all things chocolate at local candy shops, pops into Laci’s Tapas Bar for a cocktail and has a special giveaway for subscribers (see below)! One lucky subscriber will win a $10 gift card to Lune Chocolat + $10 gift card Hercules Candy ($20 total). One lucky winner will be announced Sunday February 15 via Facebook. Thank you for subscribing + Good Luck!